At that time, I didn’t know much of its meaning; but as I grew I realized the importance of being independent and being educated. To accomplish my dream, I desired to pursue my education abroad, where I could exchange my ideas with people from different cultures and religions. The best choice was India, because it’s a country that celebrates diversity. I was always fond of India and used to watch Indian movies with much enthusiasm. I hoped that one day I would get an opportunity to study in India. Finally, in 2016, my dream came true. I was one of the Jesuit Refugee Service (JRS) students from Bamiyan Province selected to do undergraduate studies in India. I had dreamt of going to India, but never thought I would land in a beautiful state like Goa. I will always remain grateful to JRS for making my dream come true. Finally, in 2016, my dream came true. 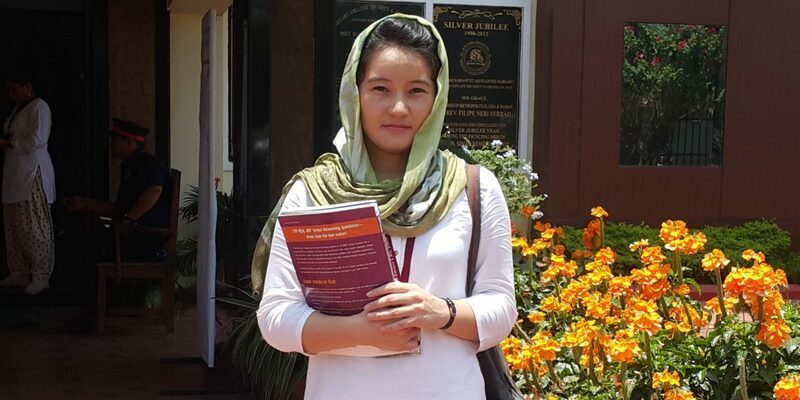 I was one of the JRS students from Bamiyan Province selected to do undergraduate studies in India. Leaving one’s own country can be quite tough for all, and so it was for me. When I left Afghanistan, I was worried, wondering how I would be able to adjust to Indian culture, food, weather and education system. I come from Bamiyan Province in the central highlands of Afghanistan, where it snows in winter. Throughout the year the weather is cool and pleasant. When I reached Goa, I was struck by its beauty. It was all green, since it was already the beginning of monsoon; and the weather was very pleasant, unlike Delhi. On my first day in college, I was quite nervous to enter the class. In time, I got to know my classmates and teachers who have been always very helpful and caring towards me, a truly enriching experience. I have made progress in every field, not just academics; and I got a chance to interact with students from different nationalities and learnt many good things. I’m greatly indebted to JRS, to the principal and teachers of the college for their assistance and accompaniment. I’m proud to be a JRS scholar.